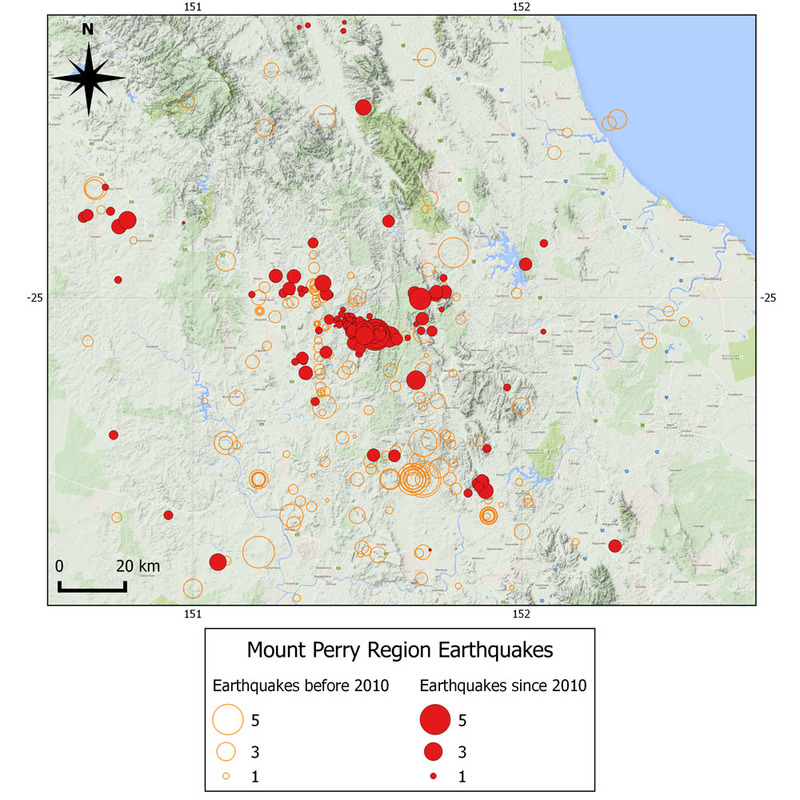 Two locations in southeast Queensland have experienced some significant earthquake activity in recent months. 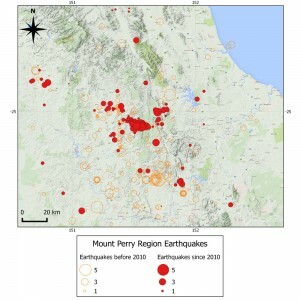 In February a magnitude 5.2 earthquake struck just northwest of Mount Perry. Over forty aftershocks were recorded in the next 24 hours and these were still being recorded six months later. 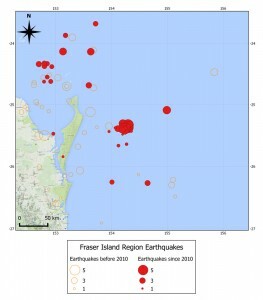 As the Mt Perry aftershocks were tailing off in late July, a series of large earthquakes struck off the coast of Fraser Island. Three earthquakes over magnitude 5 occurred within 3 days along with over 60 aftershocks. On average in eastern Queensland an earthquake above magnitude 5 occurs once every ten years, so to have four within six months is certainly unusual. 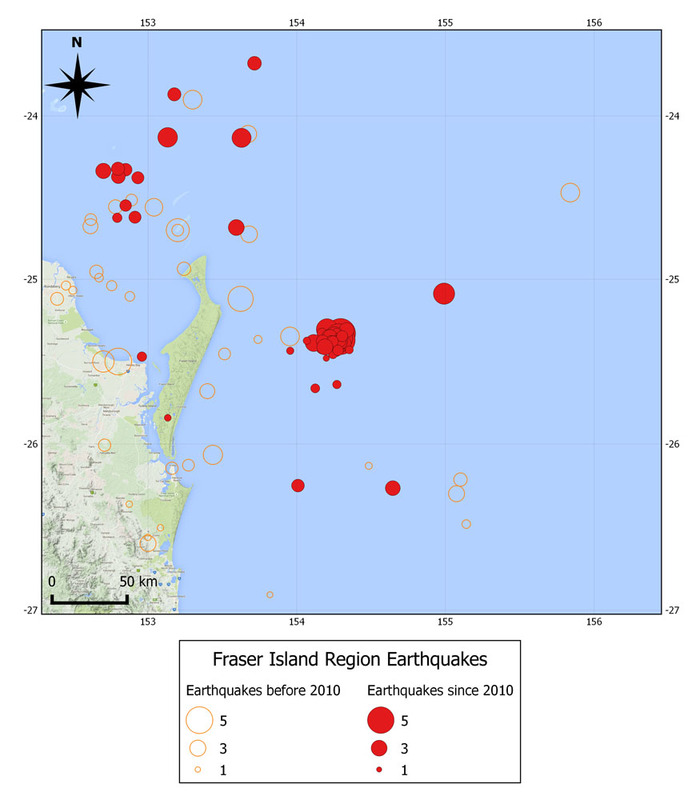 The monitoring networks operated by the SRC in the region have helped to locate these earthquakes with greater accuracy than would be possible using only national network stations, highlighting the importance of local networks and the routine analysis of all earthquakes – both small and large.